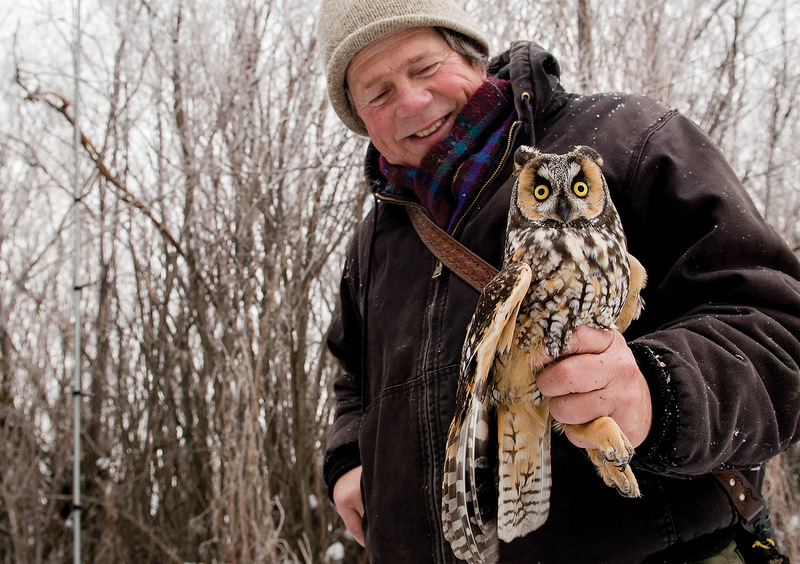 Denver Holt smiles while his crew collects data on three long-eared owls they netted near Missoula, Montana. 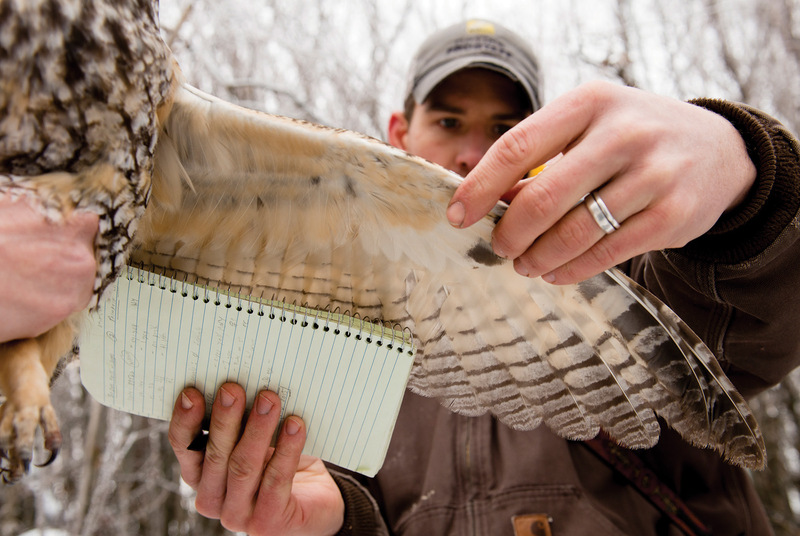 Holt started studying owls while working on a wildlife degree at the University of Montana. 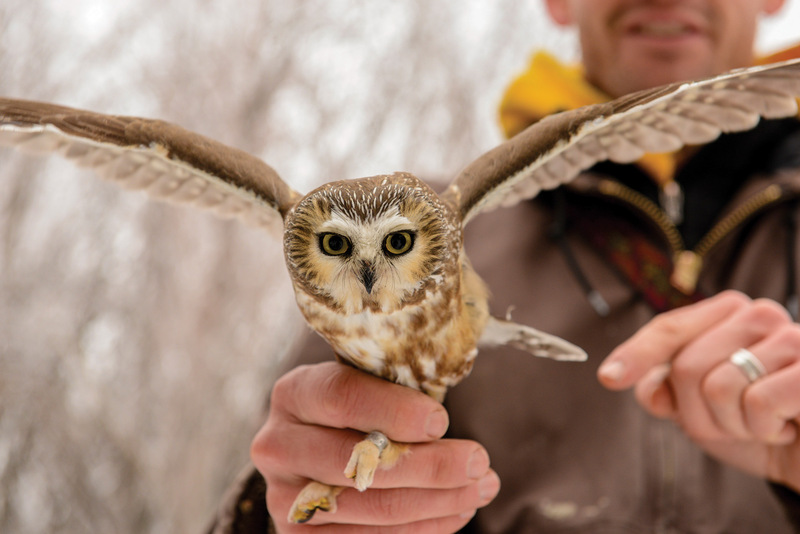 Matt Larson holds a northern saw-whet owl that was netted during a research excursion near Missoula. 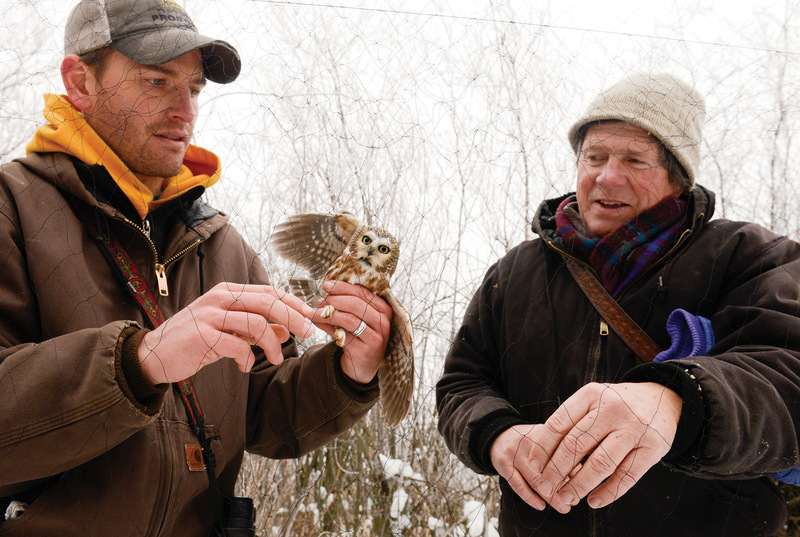 Denver Holt, right, and fellow owl researcher Matt Larson untangle a northern saw-whet owl that was caught in the net when researchers flushed long-eared owls near Missoula. 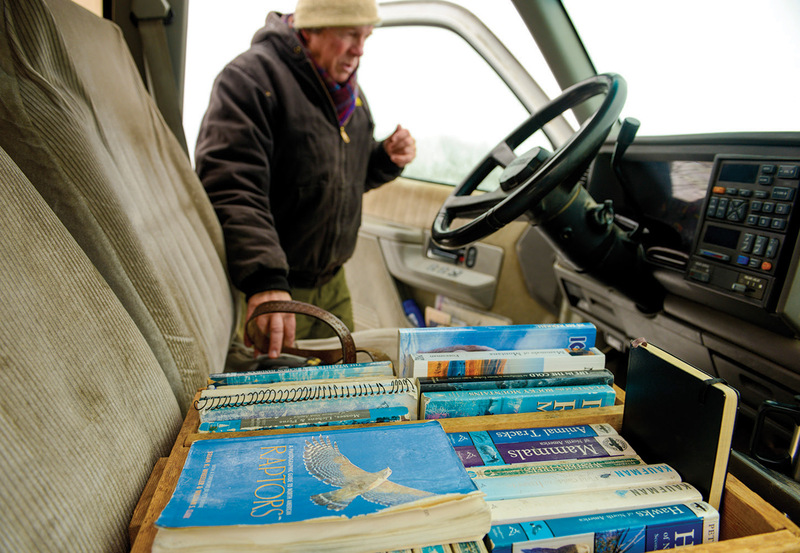 Denver Holt will often travel with his favored reference materials.